During the first few years of the 90's I had a very scary, rather tragic perm. It was honestly quite hideous and it was so tightly wound that I remember feeling like Little Bo Beep - only thing missing was my sheep. Oh wait, they weren't missing - they were actually on my head! It took forever to grow out and whilst memories (photos) continue to haunt me, I do share some fond memories of that time too - namely those relating to food. The 90's saw a revival of the humble scone particularly in the United States, which of course had a flow on effect here. I remember Nan churning out loads of varieties - from pumpkin, to date and plain old fluffy buttermilk ones. Smothered in butter, they were delicious. I developed this recipe to accompany Pete's corn chowder which is perfect during winter, as well as to test out my new Baker's Secret products which I was lucky enough to trial recently. I made these scones wheat, gluten & soy free and they turned out really well. You can use any cheese in this recipe, we just happened to have tasty on hand at the time. To make the regular version just substitute with regular self raising flour and omit the xanthan gum - Easy. Preheat oven to 220'C. Sift flour into a bowl, then add the ground mustard seeds, salt and one really good pinch of paprika. 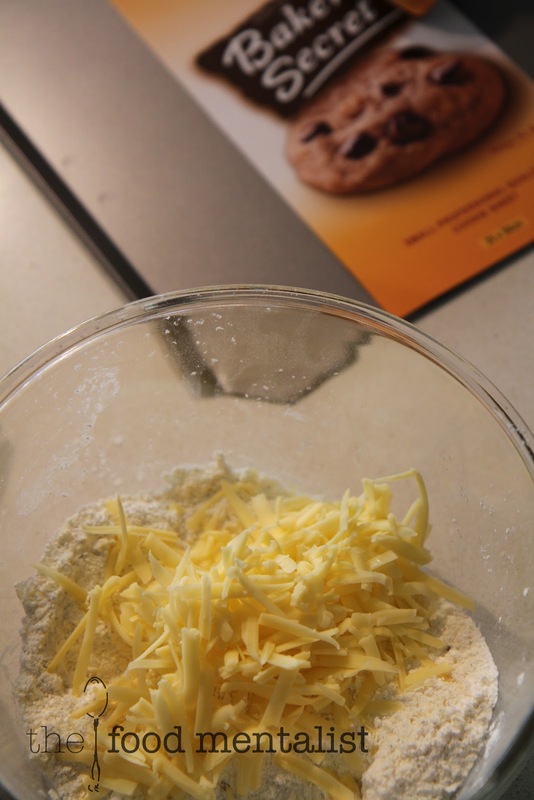 Mix together thoroughly, then rub the butter in, using your fingertips, until crumbly.Then mix in about 75g of the grated cheese. Next, beat the egg with 2½ tablespoons buttermilk and gradually add it to the dry ingredients, mixing first with a knife then with your hands to make a soft dough. If it is a little dry, add a little more buttermilk, enough to make a soft smooth dough, that will leave the bowl clean. My Nan always says it's important to not overwork the scone mix as it can become tough and if your aiming for fluffy pillows rather than 'rock cakes' treat the mix with care. 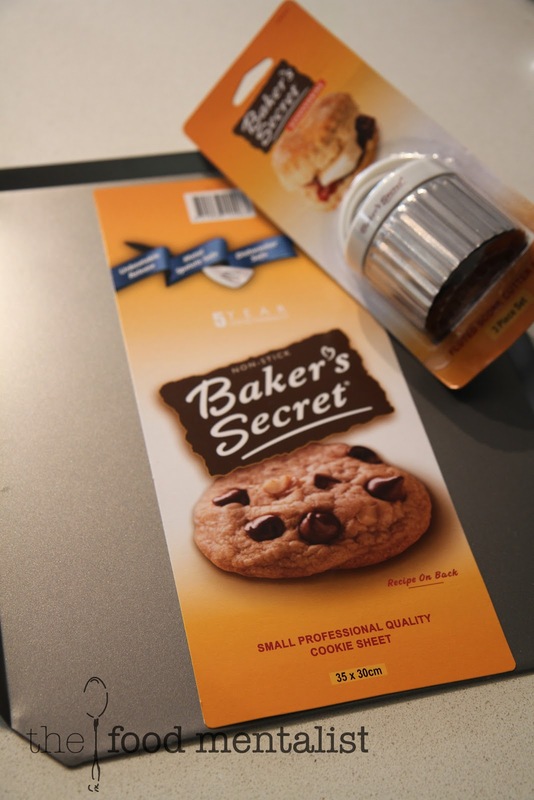 Next, roll it out as evenly as possible to around 1 inch (2.5 cm) thick – The secret of well-risen scones is to start off with a thickness no less than an inch. Then using a fluted cutter, cut out 5-6 scones. You may need to re-roll the dough to cut out them all out. 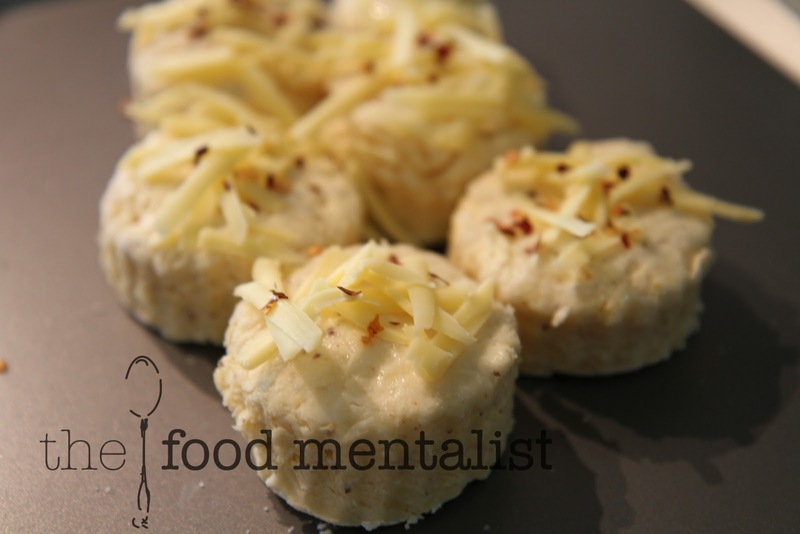 Place them on the well-greased baking tray or a non stick one like the one I used above, brush the tops with a little more buttermilk, then sprinkle the rest of the grated cheese on top of each scone and top with a little dried chilli flakes. Bake them on a high shelf for about 15-20 minutes until the scones have risen and are golden brown. Serve warm with lots of butter! Serve with corn chowder or your favourite winter soup. 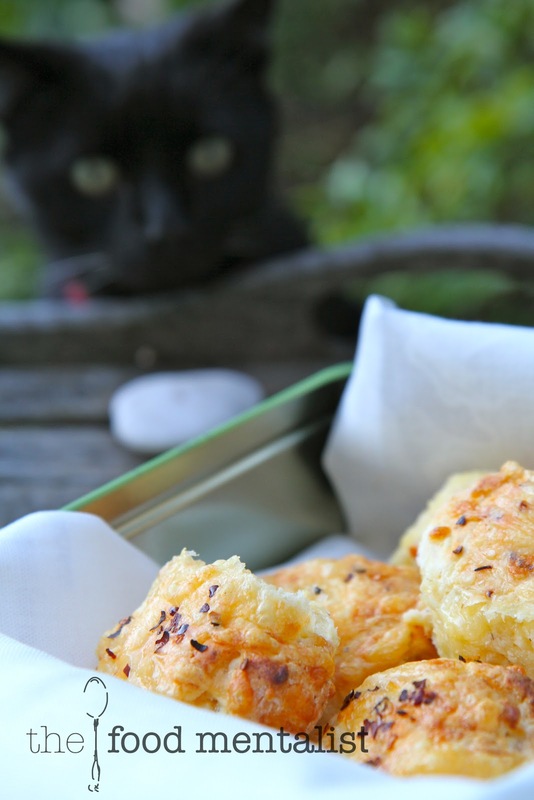 Max wanted a little scone action too, you couldn't blame him really. Have you made scones lately? What is your favourite kind? What a jazzy combination for scones. They look delicious. I'm almost ashamed to say my last scones were plain to be served with jam and cream and the ones before that were pumpkin. I'm SO boring! 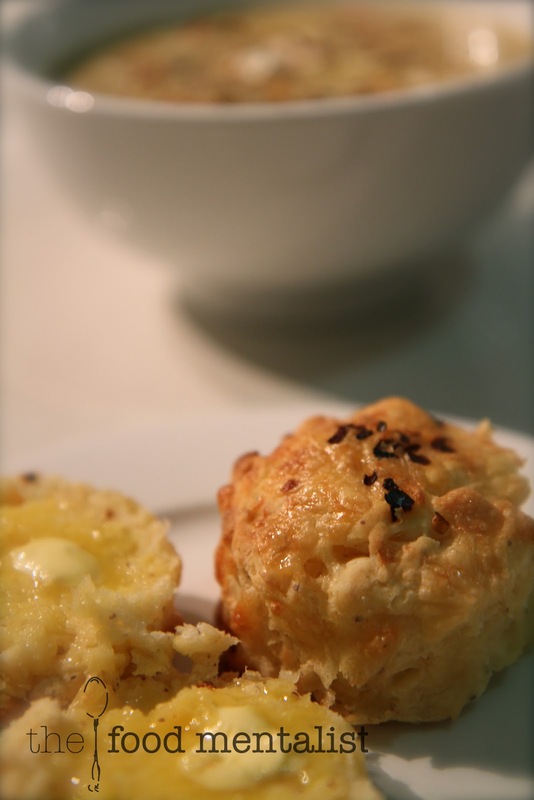 yum i love a cheesy scone and with chili sounds awesome! Nice recipe! 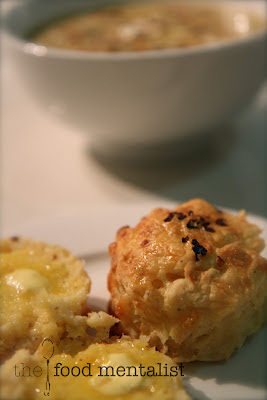 Savory scones are such a winner with me. 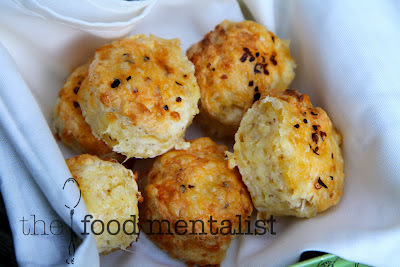 I want to make these and the corn chowder...I would also dig these with a hearty winter stew! Ohhh... yum! I love the sound of these. Bet they'd be great alongside a bowl of chili con carne as well! 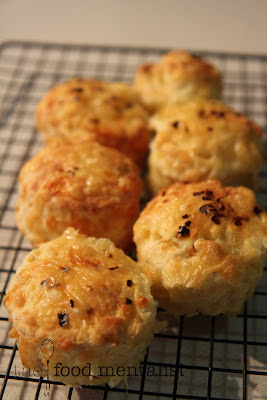 Cheese scones, hot from the oven, dripping with butter, burning your gob. That's s childhood Sunday afternoon memory of mine. Cheese scones are a firm fave of mine. Why have i never thought of adding chilli? Will have a batch of these in the oven this weekend for sure! Thanks for sharing. Thank you for sharing this recipe - I just wanted to check how much mustard seeds were needed. Can't wait to make them!